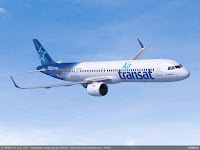 The Canadian holiday and leisure airline, Air Transat, has confirmed it will be adding Split in Croatia, to its ever-increasing list of destinations for its direct flights for many of its main transatlantic markets, namely, Italy, Greece, Croatia, France and Portugal. The company is making it easy for Canadians to discover Europe next summer, with more and more flights to top vacation spots. With 27 destinations in Europe and the Middle East accessible from six airports in Canada via connecting flights, Air Transat makes planning a dream vacation a breeze for Canadians. Moreover, as of summer 2019, passengers heading to destinations such as Nice, Porto and Basel will fly in one of two new Airbus A321neo LR aeroplanes being added to its fleet. "Our fleet's transition period that started last winter is continuing. 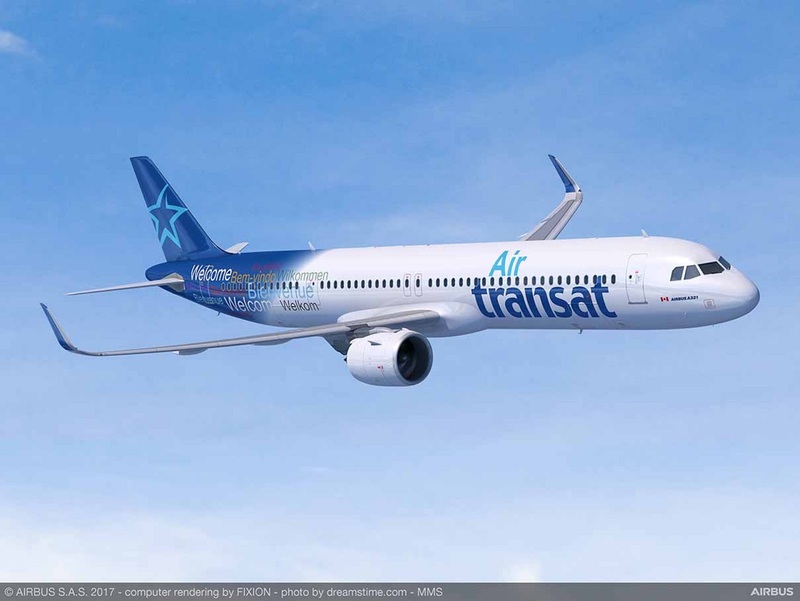 Summer 2019 will mark the arrival of two new Airbus A321neo LR aeroplanes, benefitting our flexibility and efficiency," says Annick Guérard, Chief Operating Officer at Transat. "We're adding Split in response to Croatia's soaring popularity as a tourist destination, while maintaining our position as a leader in many of our key markets, including the Mediterranean region," she explains. "While Europe is a huge part of our summer activities, as Canada's number one holiday airline, we always make sure to offer a wide variety of destinations to our passengers. And that means maintaining our flights to some 20 South destinations, because people love the beaches of Mexico and the Dominican Republic even in the summer," Annick Guérard concludes. Given Canadians' growing interest in the Balkan Peninsula, Air Transat is pleased to be adding Split to its destinations. With its two flights to Zagreb, that makes three direct flights to Croatia every week from Toronto. There will be more direct flights to Greece and Italy, for a total of four weekly flights to Athens (Greece) from Montreal and Toronto. Lamezia (Italy), the gateway to the South of Italy, will be accessible twice a week from Toronto. The airline is increasing its departures to a number of other destinations as well: from Montreal, there will be three flights to Porto (Portugal), three to Nice (France) and two to Basel (Switzerland). Meanwhile, there will be five weekly flights to Dublin (Ireland) from Toronto. Furthermore, Air Transat is set to offer passengers a new product combining air and rail travel, in partnership with SNCF, France's national rail service. The airline's customers will be able to purchase a single ticket comprising a flight to Paris plus TGV AIR service enabling them to complete their journey on the TGV high-speed rail network within France or to Brussels, Belgium, thus facilitating access to French provinces and Brussels on a daily basis. Air Transat and SNCF promise a simple service delivering several benefits: a single booking, a single fare and a single ticket. It will be available as of January 2019, and travellers will be able to book from Canada starting in December. The Mediterranean region, with its idyllic turquoise waters, is vital to the airline's flight program. First, there's Spain, which remains an undeniable draw thanks to its dream combination of scenic beaches and captivating culture. Air Transat will continue its direct flights from Montreal to Barcelona (five direct flights weekly) and Malaga (three direct flights weekly) as well as from Toronto, with three direct flights weekly to Barcelona. These Spanish destinations remain accessible to people in the Quebec City, Vancouver, Calgary and Edmonton areas via Air Transat's network of connecting flights. Finally, getting to Lisbon (Portugal) will be as easy as ever with five direct flights weekly from Montreal and four from Toronto. For the past five years, Air Transat has been expanding its domestic flights, linking the country's major cities. "These flights give an increasing number of Canadians access to more European destinations than ever, with connecting flights to Toronto and Montreal, as well as give access to other Canadian cities," explains Annick Guérard. It's also worth noting Air Transat is launching a new summer flight between Edmonton and Toronto, opening the door to European travel to people in northern Alberta.